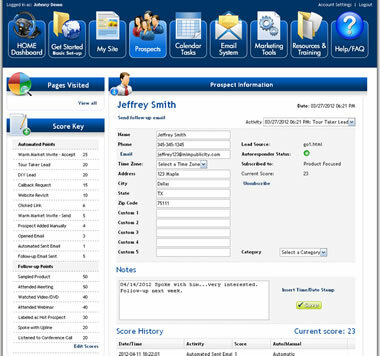 Tour Taker lead capture pages are "ready to go" for the user. They simply start advertising the link. The design, content, opt-in form, message campaign and redirect page are all pre-formatted into these lead capture pages. All the rep has to do is start advertising the URL. A scrolling list of recent tour takers keeps the site current and helps with conversions and credibility. 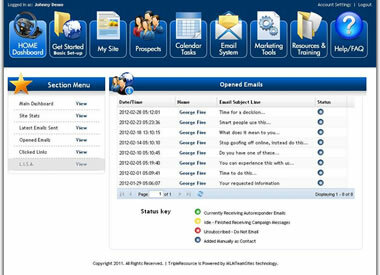 An email is sent to the user each time a lead is generated. Our system can be programmed for multipe redirect paths and follow-up campagins for each lead capture page if necesssary. 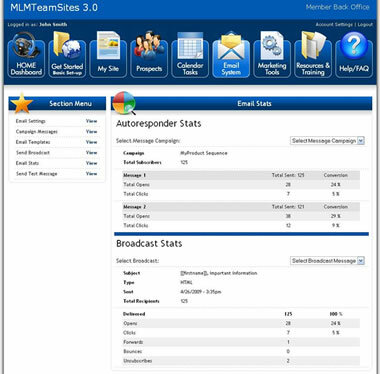 All Tour Taker leads include this feature which gives you great insight into what pages your lead is focusing on and each time they come back to your website, you will be alreated via email and our system will track their website path once again. This page is dedicated to all leads that have been generated from any opt-in form within our system. 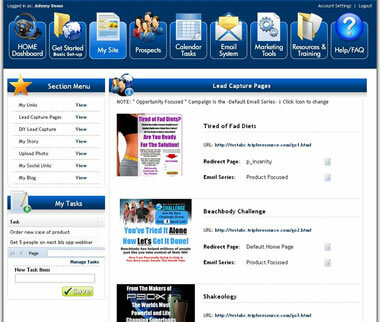 Lead capture pages, callback request pages and any other specific form the website system may include. See who is opening the HTML email messages and clicking on links. View a history of the past 24 hours, 5 days, 10, 30, 60, 120, and 360 days.